Sidney Lanier served in the Confederate States Army prior to his post-Civil War career as a poet and musician. 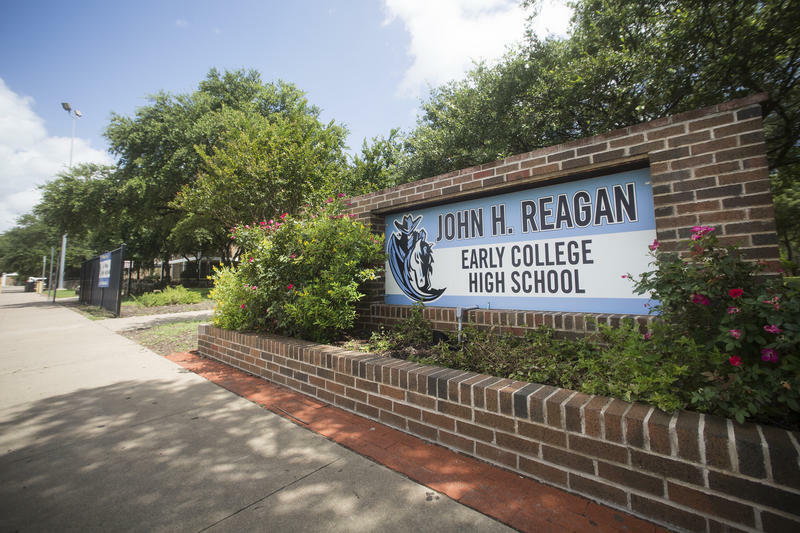 The Austin Independent School District is weighing a decision to change the name of the high school that bears his name. Each was named after a man involved in the Confederacy. The board said these men didn't align with the district's current core values. 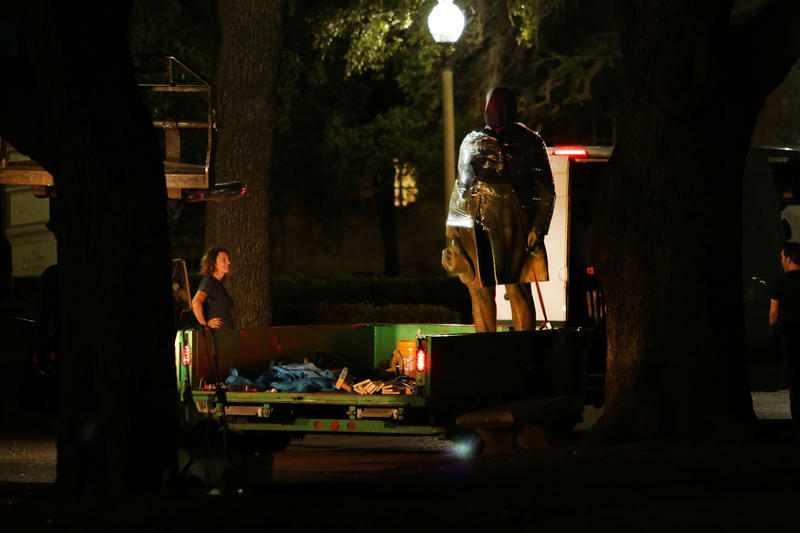 The discussion came about during a wave of anti-Confederate actions across the country, including at UT-Austin, where Confederate monuments were removed from campus. The school district started talking with communities at these schools, and the board planned to vote in February on whether to make the name changes. But this month, board members expressed reservations. 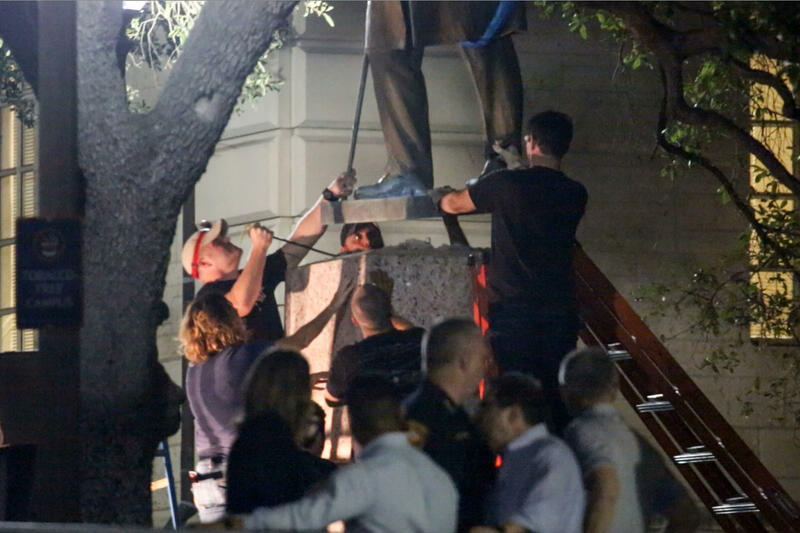 A statue of John H. Reagan is removed from the UT-Austin campus on Aug. 21. Reagan was the postmaster general of the Confederacy. At a work session Jan. 8, board members raised concerns about the process of choosing which schools to rename. Wagner said the board should take a hard look at all school names and mascots in the district, and come up with a clear strategy. Board member Ann Teich echoed part of this sentiment, saying changing only the names of schools named after Confederate figures omits other problematic names. The board also raised the issue of cost. The district estimates it would cost $77,000 to change the name of a high school. It would have to replace all signs, stationary, uniforms and anything else with the name on it. Teich said that might be hard to justify to taxpayers. After the work session, the board decided to continue having the discussion, but not to make vote in February. Ted Gordon wasn’t at the work session, but he told a crowd at the Martin Luther King Jr. march last week that he was disappointed in his fellow board members for slowing down the timeline. “They succumbed to the political and social tensions surrounding these symbols of a problematic past,” he said. Gordon said that in a school district where black students fall behind academically, changing the names would be a symbol that the district is looking out for students of color. At the board meeting Monday, some Lanier alumni spoke up about their opposition to the name change. 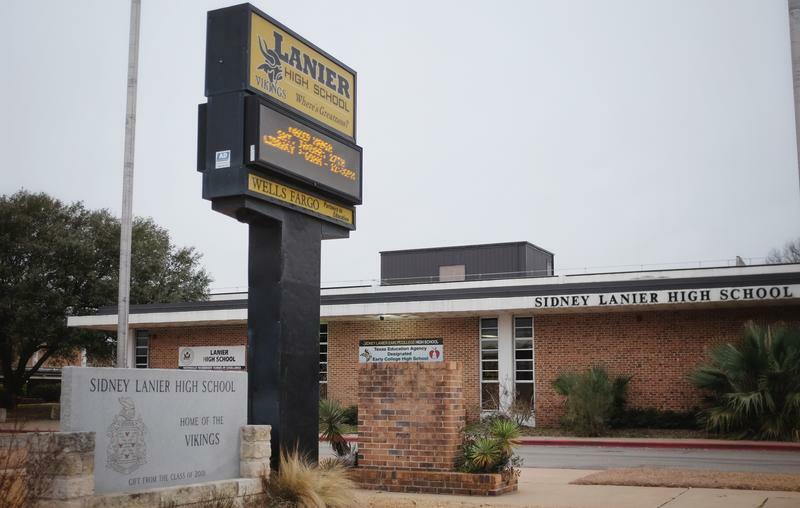 “Never once did I hear in my four years at Lanier that Sidney Lanier was named after a Confederate soldier,” said Terry Ayers, who attended Lanier in the '60s. “We were taught that he was a famous poet, period." Resident Chelsi Ohueri brought up a point about historical context. 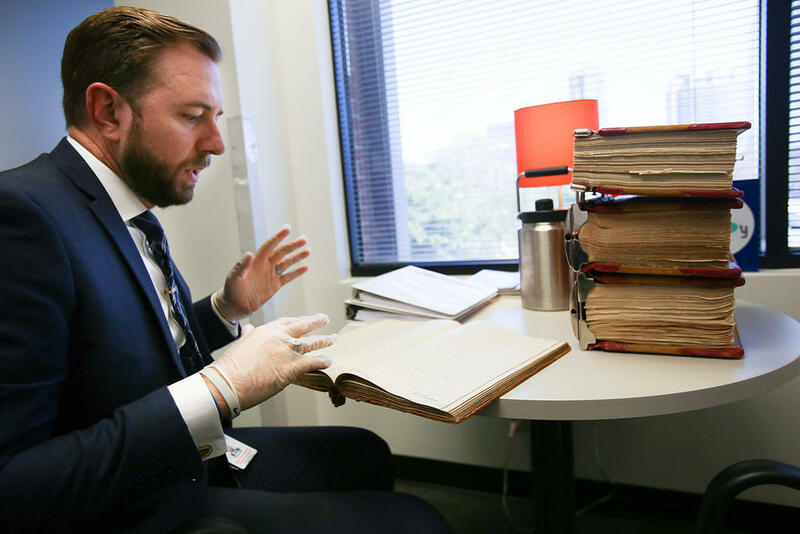 Brian Hill, special projects lead for the superintendent at Austin ISD, says old board meeting minutes contain references to naming schools after Confederate figures. “Just because you didn’t know why schools were being named, doesn’t mean that there wasn’t an agenda about the reason they were being named,” she said during public comment. When Jim Crow was being dismantled and the federal government was forcing schools to desegregate, for example, the school board named Johnston and Lanier after Confederate soldiers. Board minutes at the time show that members mentioned Johnston’s service in the Civil War as reasons for choosing his name. Within the halls of Lanier, the conversation sounds different. Some members of the community take issue with a potential name change, but not because of nostalgia or cost. They say choosing Lanier is another example of how the school doesn’t receive equal treatment and take issue with Austin High School not being on the list. In the bond voters passed in November, Lanier was allocated the second to least amount of money among Austin high schools. This prompted student Victoria Warner to speak out. Lanier Principal Ryan Hopkins said just changing a name is not enough. “Changing a name is pretty fruitless without the understanding of why," he said, "and then where do we move forward with that?" That’s the reason Lanier business teacher Medina Willis says she doesn’t want to see the name changed. She said that would erase history and not remind future generations that pro-slavery sentiment existed in Austin. Willis said she’s been using this conversation as an opportunity in her classroom to talk about racial inequities in the city and school. She said changing a school name doesn’t create change. To create actual change for students and staff of color, there needs to be conversations between people of different backgrounds so they can learn from each other. Hopkins said rather than focusing on a name change, the board should focus on that. “The board has its work cut out for it,” he said. “While it’s hard work, it’s the real work." 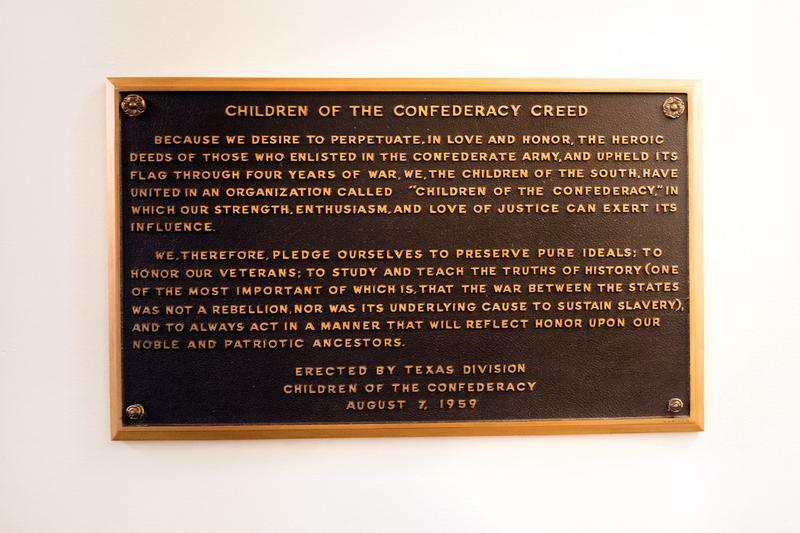 Correction: The audio and a previous print version of this story incorrectly stated that minutes from a school board meeting show members mentioning Lanier's Confederate service as a reason to name the school after him. Rising Costs Push Out Brooke Elementary Families. Bees And Bunnies Bring Them Back. When most school principals think about goals for the coming year, academics or maybe budgets usually top the list. 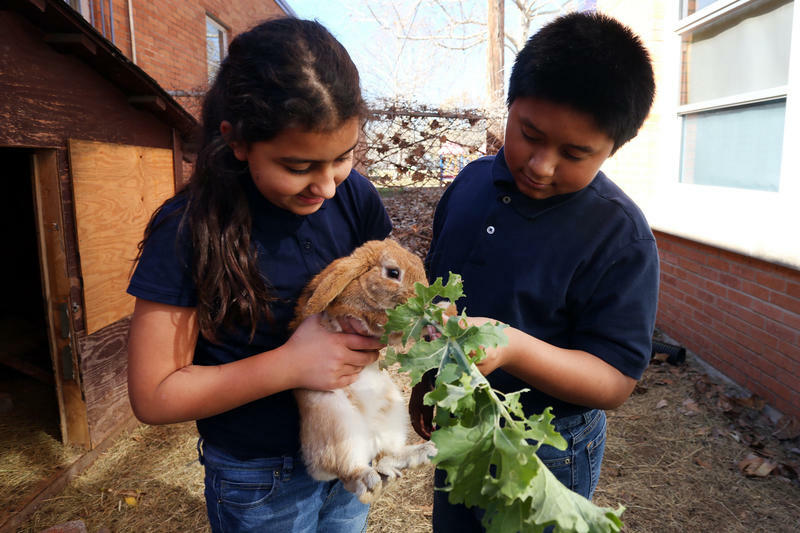 But Griselda Galindo-Vargas, the principal at Brooke Elementary, hopes for something else. "We’re hoping that a new queen bee will come and find it," she said, referring to the beehives on campus. "And then it will bring another hive." The Austin Independent School District's headquarters on West Sixth Street will be turned into retail space. 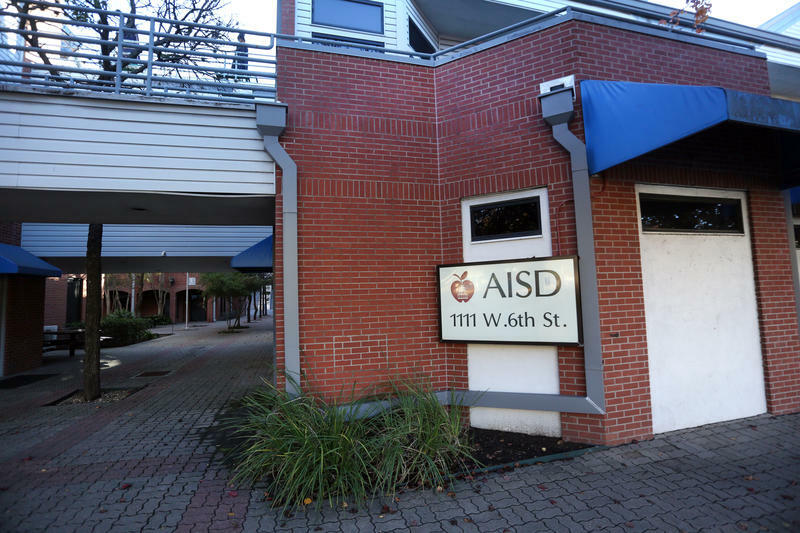 AISD sold the property to Schlosser Development Corp. for $36.5 million last month.